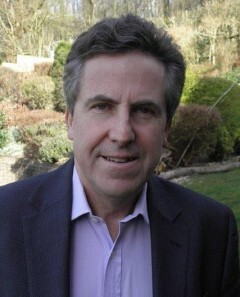 Mr Irwin is an experienced upper limb orthopaedic surgeon, having been a consultant at the West Hertfordshire NHS Trust since 1997. He has kept abreast of all the advances and honed his own techniques over this time. He deals with all aspects of shoulder, elbow and wrist pathology and injury and also has a special interest in the common aspects of hand surgery, such as Dupuytren surgery for hand, arm and finger contracture as well as the surgeries for arthritis at the base of the thumb. Radiological investigations and surgery can be expedited at Spire Harpenden Hospital. He has been a partner at The Elms Consulting Rooms for some years and sees private patients, insured and non-insured, and medico-legal clients who are referred via Medico-legal agencies or solicitors. Elms Clinic: OSD Healthcare - Hemel Hempstead: Spire Harpenden: One Hatfield Hospital.